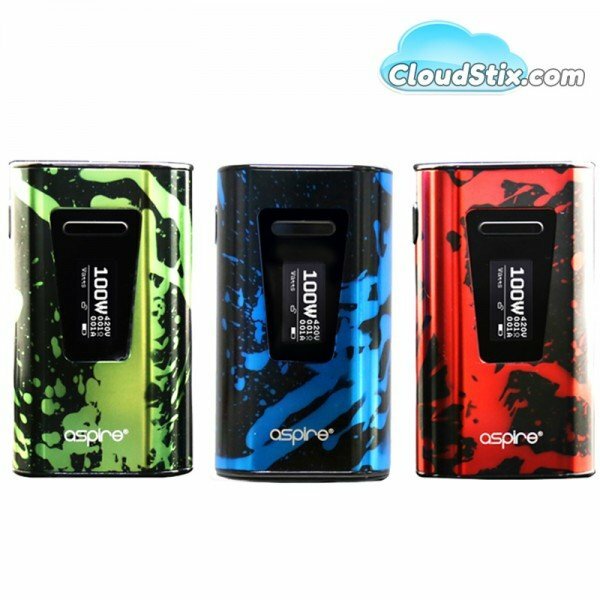 The Aspire Typhon 100 is a mod that is both compact and ergonomic, the curvy design makes the mod feel super comfortable in the palm of your hand. The Typhon 100 is powered by a 5000mAh internal battery, with a maximum output wattage of 100W. Yes! That means less recharging required and an even longer vape time! And if that’s not enough, the Typhon 100 also supports VW/VV/Bypass/CPS/TCR…all features that can easily satisfy your various vaping requirements. Also, with a width of 26mm the Typon can easily match the majority of your tanks with no ‘overhang’! 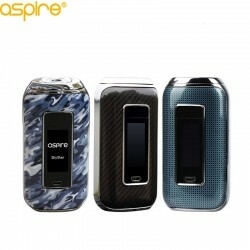 The Typhon mod has all the usual features you have come to expect from Aspire, Stainless steel flush mounted 510 connector which is of course spring loaded, a micro usb port for charging and firmware updates. The up/down button is located near the top of the mod and integrated into the display screen, with the fire button conveniently placed to be able to use with thumb or finger. Added safety comes with well placed ventilation holes in the base of the mod. Charging couldn’t be easier, just attach the supplied micro usb cable to the charging port and attach to a power supply. When you connect your Typhon 100 mod to the charger the screen will display a flashing battery icon as well as battery voltage level, charge current and charge time. When the battery charge reaches 4.2V or is fully charged, the mod will stop charging and the screen will remain off. The maximum charging rate is 2 amps. Please note: Do not leave your mod unattended while charging and always use the usb cable provided to prevent damage to the mod. Red USA Mix Tobacco at its very best, tastes similar to a Malboro cigarette and vapes amazingly well..